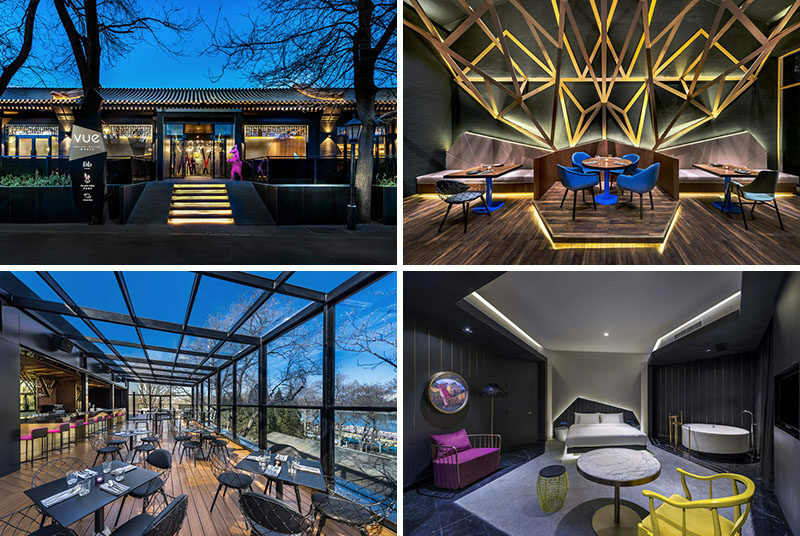 Ministry of Design have recently completed the first flagship property of the VUE Hotel that’s located in Beijing, China. 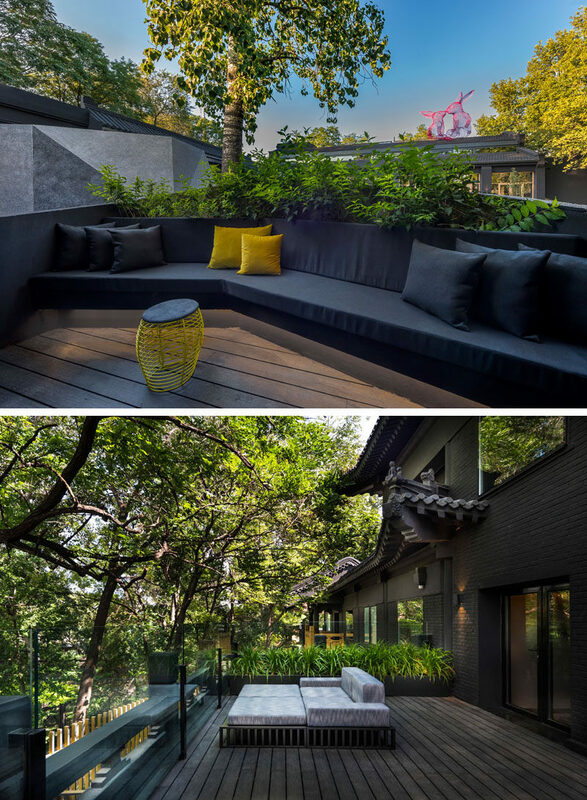 The designers took inspiration from the culture and heritage of the surrounding neighborhood and added a contemporary and whimsical twist. 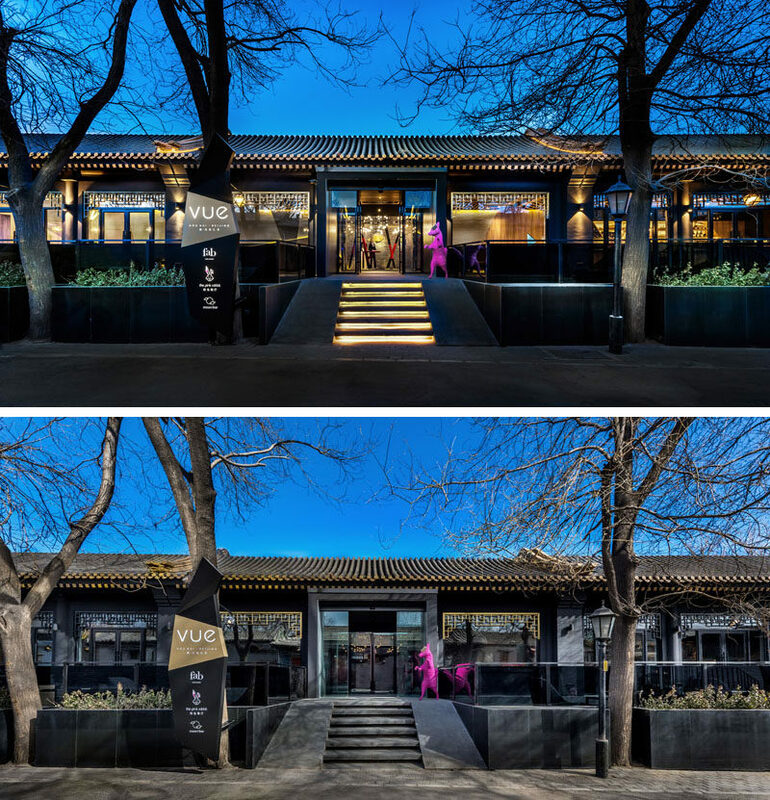 Surrounded by historic Hutong houses and in an aim to fit into the neighborhood, the hotel comprises a series of artistically transformed quasi-historic buildings from the 1950’s. 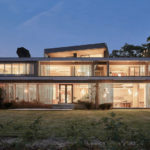 Stepping inside, it is very easy to see that the interior is much different from the historic-inspired exterior. 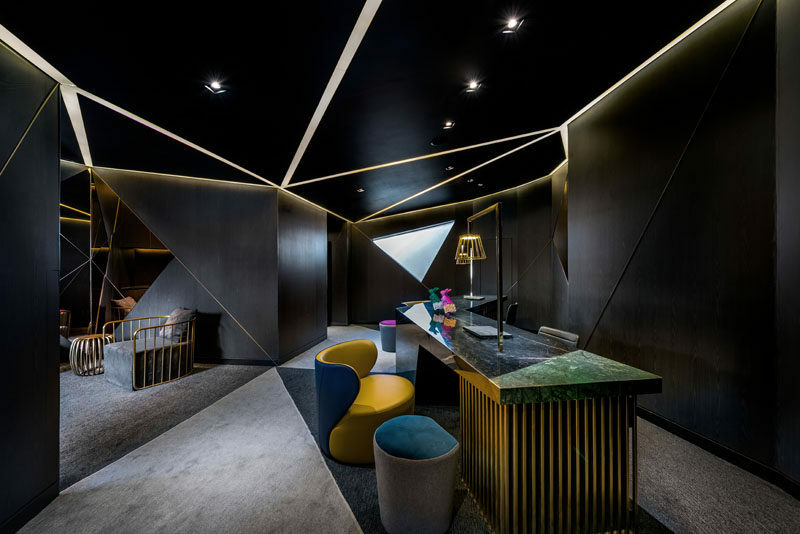 The dark reception area is full of angles and lines of light that create a bold first impression. 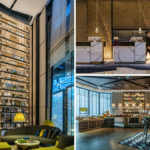 The hotel has many social areas, including the FAB café and bakery that has a casual and vibrant atmosphere that’s been created using wood and colorful accents. 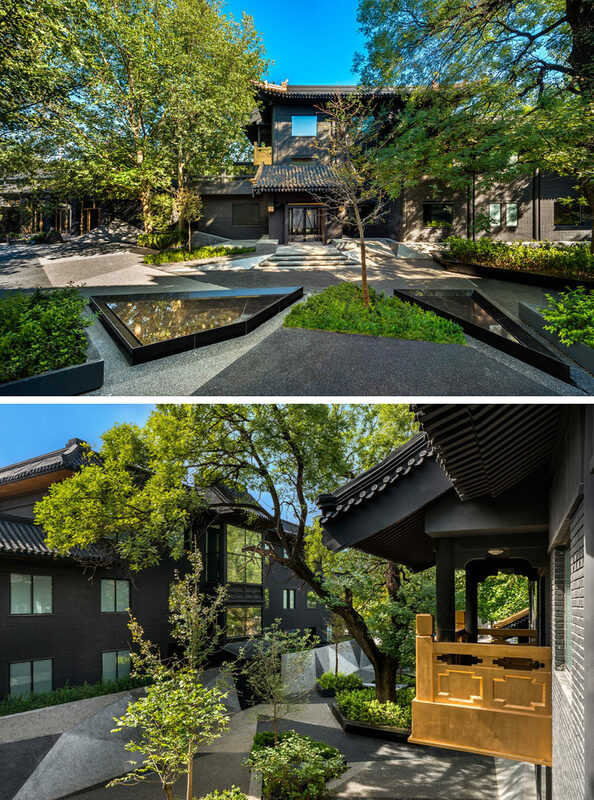 Outside, there’s a central garden area with angled water features and plenty of trees. 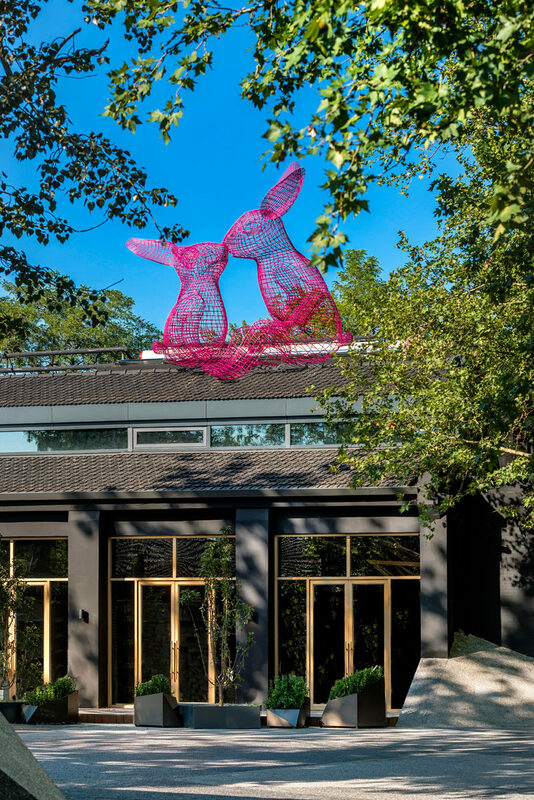 Artwork is scattered throughout the hotel, like these two whimsical wire-frame rabbits that sit on the roof of The Pink Rabbit Restaurant. 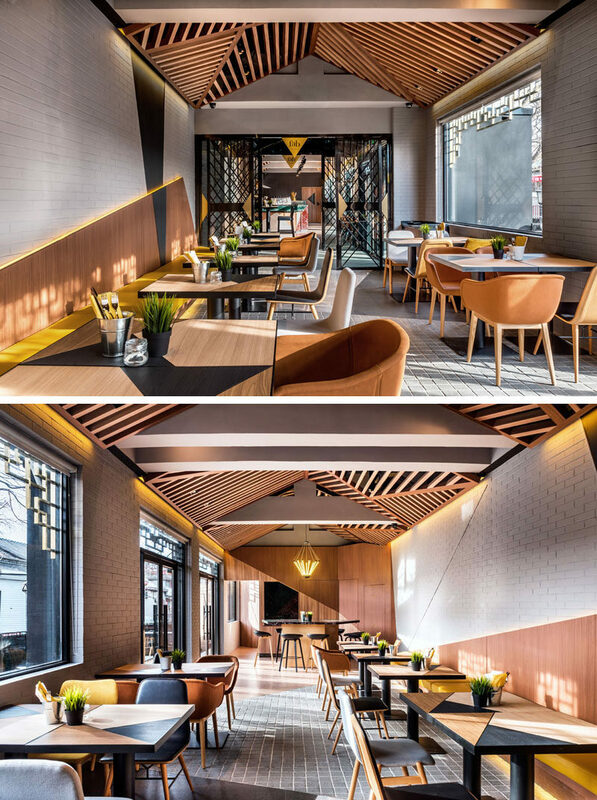 Inside, a dramatic high ceiling with exposed metal & wood trusses is lit up with hidden lighting, creating a striking appearance for guests of the hotel. 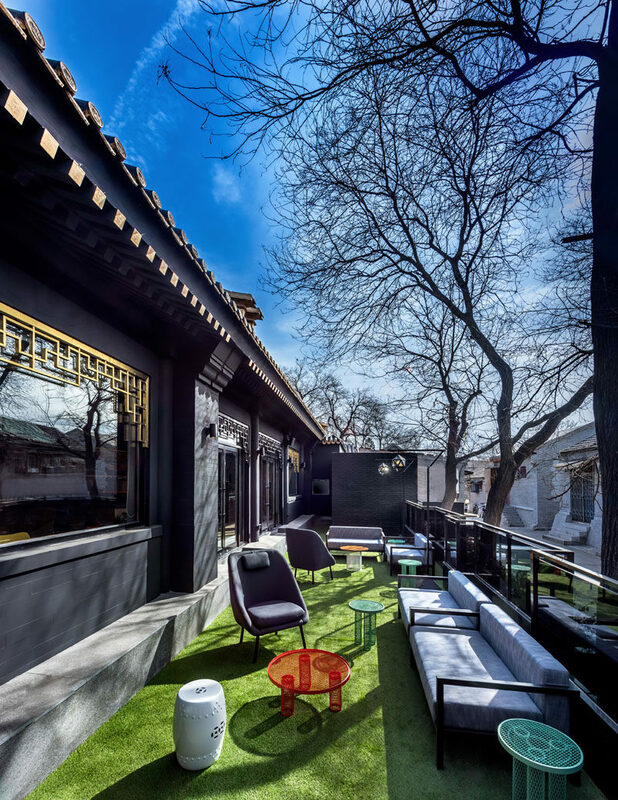 The hotel also has the Rooftop Moon Bar, that features a treetop alfresco experience, with full views to the picturesque Houhai lake and park, plus there’s also a Jacuzzi for relaxing and having a drink. Metallic entryways scattered along dark hallways guide you to the hotel rooms. 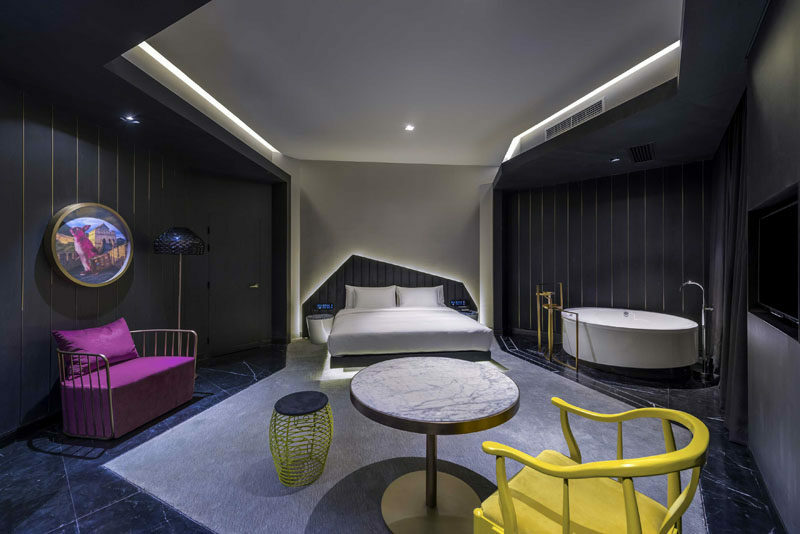 Inside, the angles featured throughout the hotel also show up in the rooms. 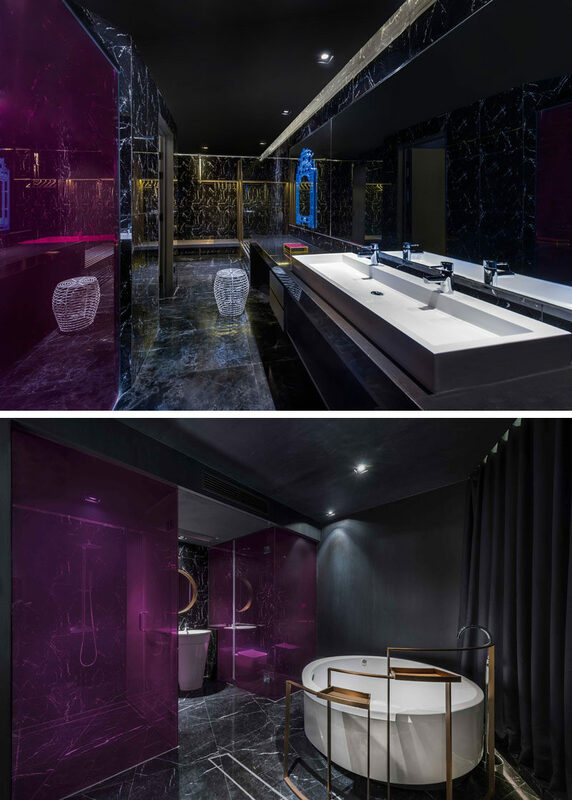 This bold bathroom has pops of color to brighten up the black stone with scattered white veins. 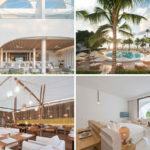 The hotel rooms are unexpectedly divided with the use of colors, tones and materials, creating an artistic touch, while hidden lighting adds a soft ambient light to the room. Some of the hotel rooms also have private balconies with tree and lake views. In this hotel bathroom, gold accents have been used and a blue artistic decorative accent breaks up the large mirror. 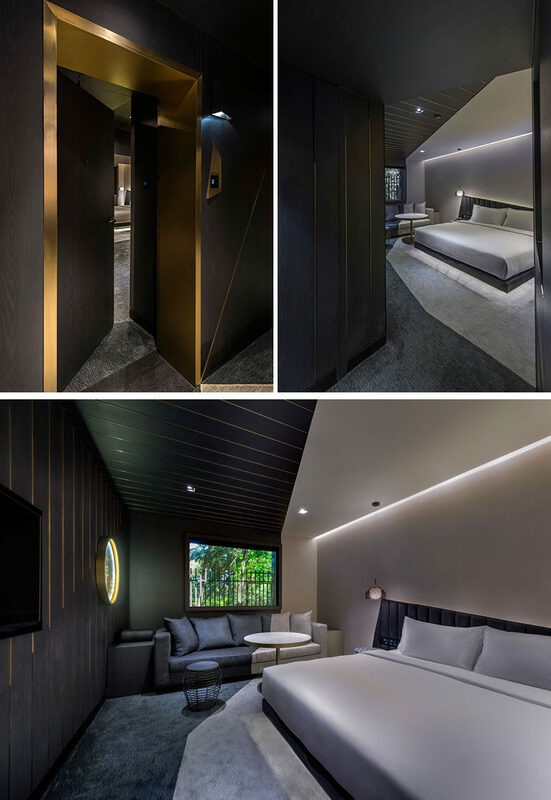 In this room, the dark areas define a sitting area and a open bathing area, while the lighter grey defines the bed with a backlit headboard. Much like the other bathrooms, this bathroom features bright pink panels, while the bath can be closed off the hotel room with the use of curtains. 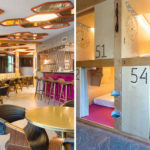 This large hotel suite also has a private balcony with a built-in lounge area with views of the pink rabbits and the treetops.